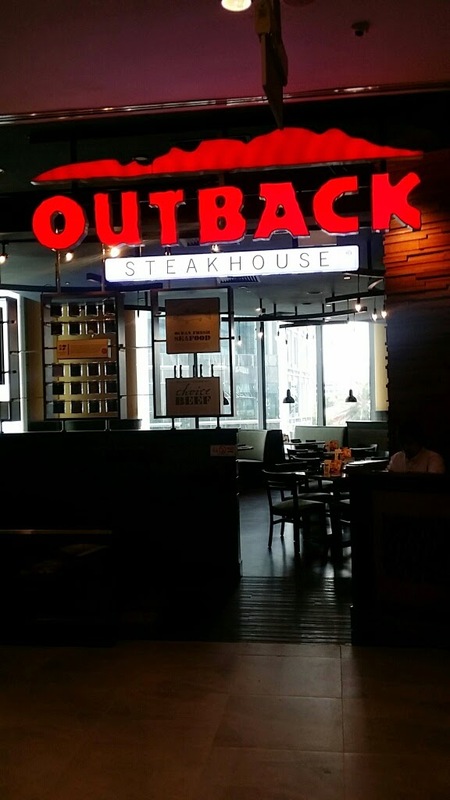 The only outback steakhouse in Singapore which I known is located at Millenia Walk for the longest time and I have only been to that outlet 2 times only. The standard has dropped pretty much since the last time I went there with the colleagues who were giving me birthday treat, can you imagine we had to wait around 1.5 hours for our food? 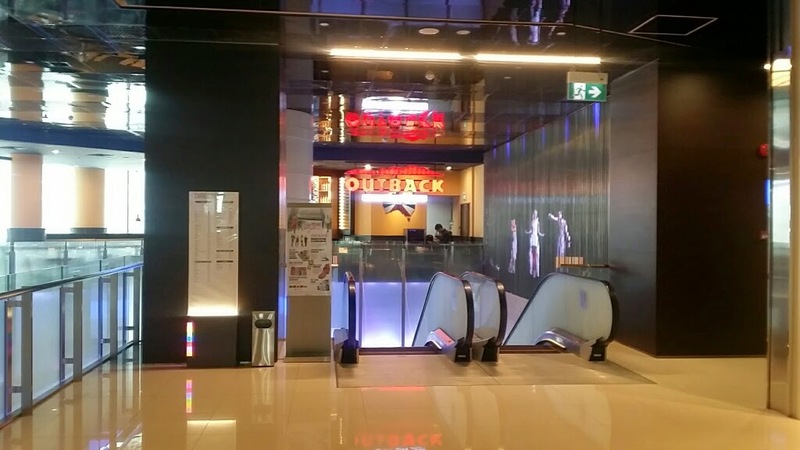 The gf came to meet me for lunch one of the days during work so I suggested the new outback steakhouse branch which was located on the 4th level of Orchard Gateway. It was quite quiet because Orchard Gateway is still quite new and not all stores were open yet. 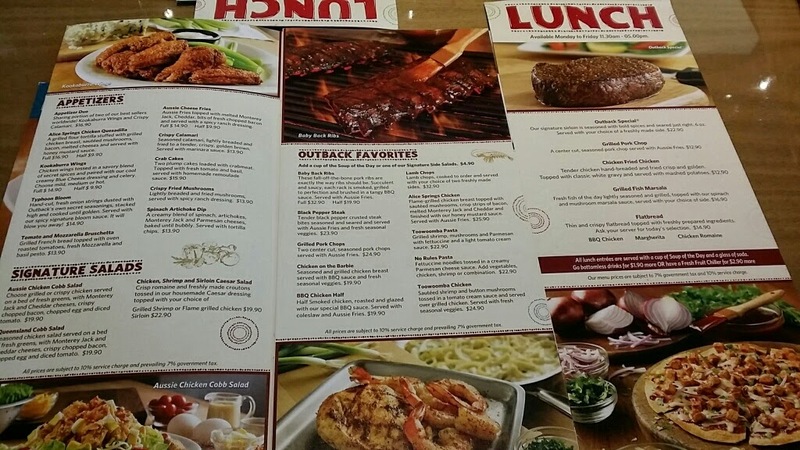 We took a look at the menu and the set lunch seems pretty good! 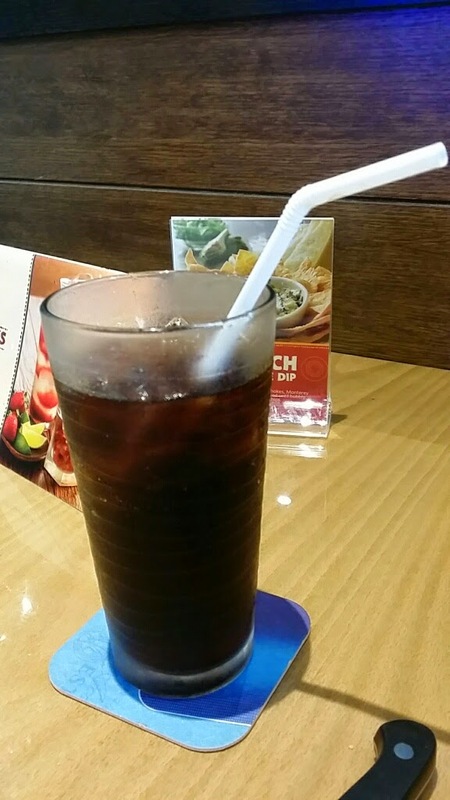 I already set my mind on the Grilled Pork Chop ($12.90) at first glance which includes soup of the day & a coke. 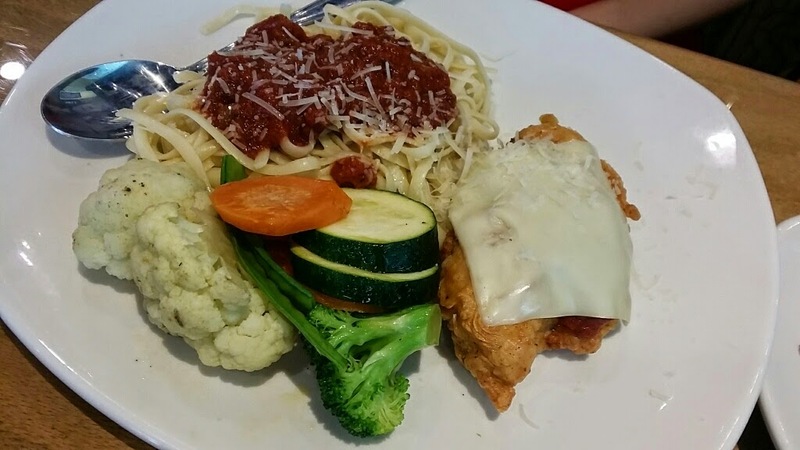 The gf ordered a Chicken Parmesan ($16.90) set lunch. 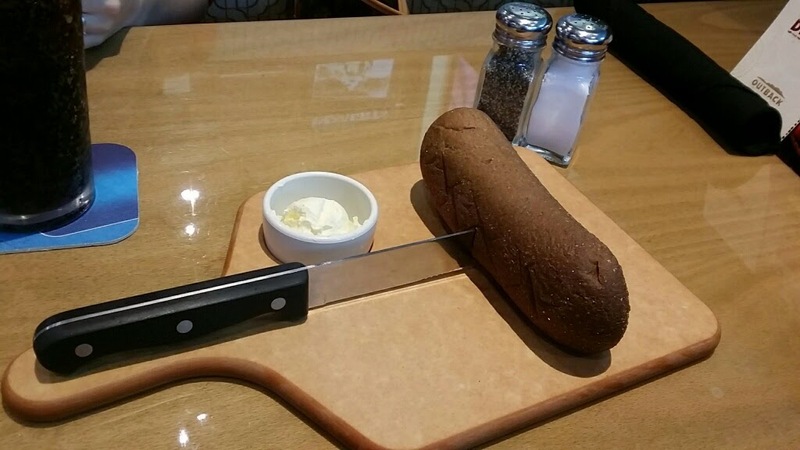 We were also served a loaf of bread to share, and I must said the bread taste pretty good with the cream cheese. 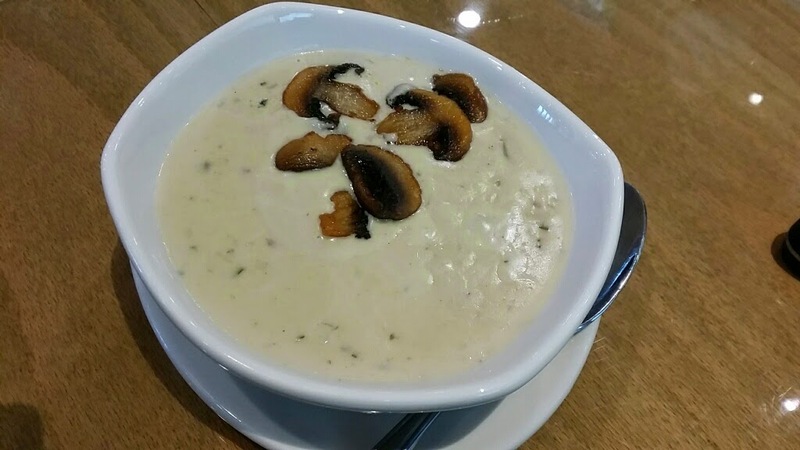 The soup of the day was Cream of Mushroom which was quite creamy with chunks of mushrooms and I quite like it. 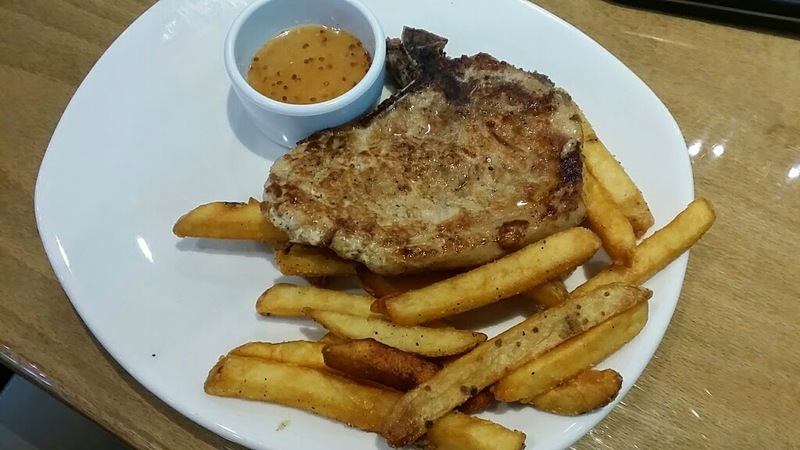 The Grilled pork chop portion was alright for one, but the meat was a little tough (I prefer Aston pork chop if to compare these two). The gf's Chicken Parmesan came with spaghetti which was quite a huge portion. 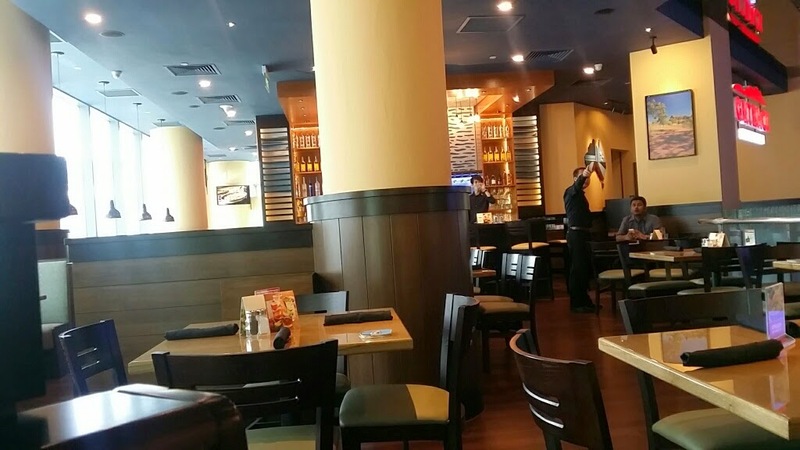 The service was very good at this outlet, staffs will always check on you etc. 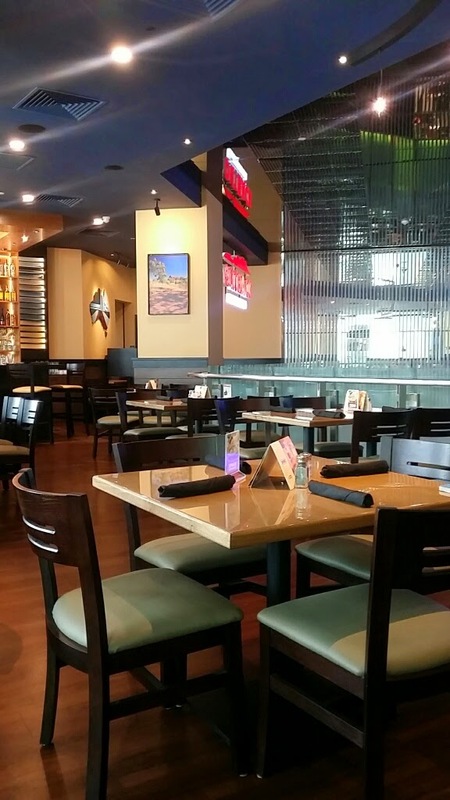 If you want to look for somewhere quiet for lunch, I guess this will be the place at the moment.